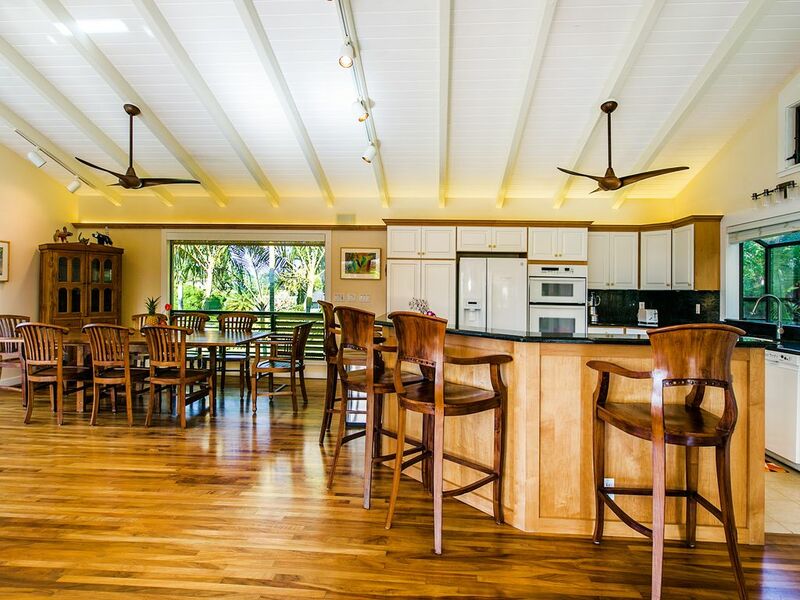 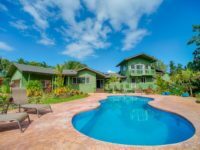 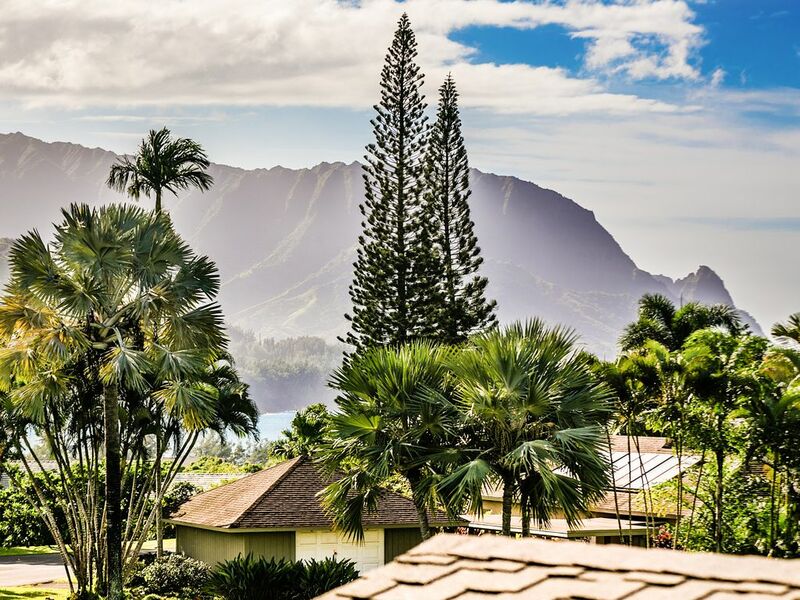 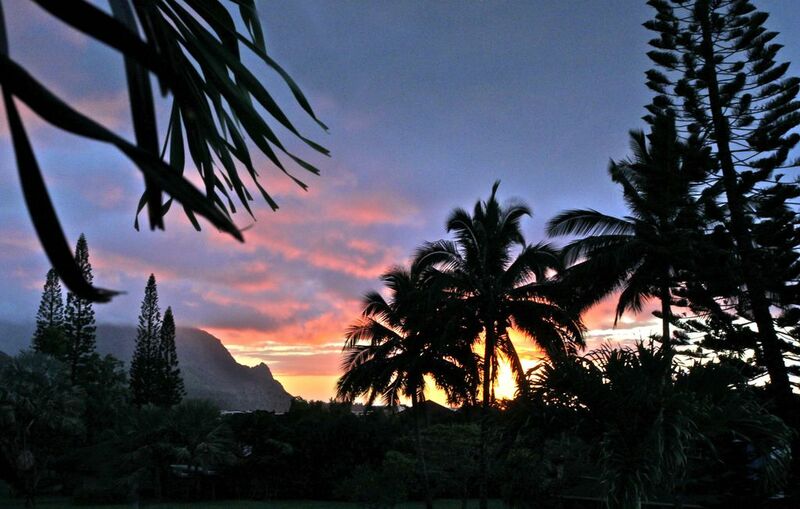 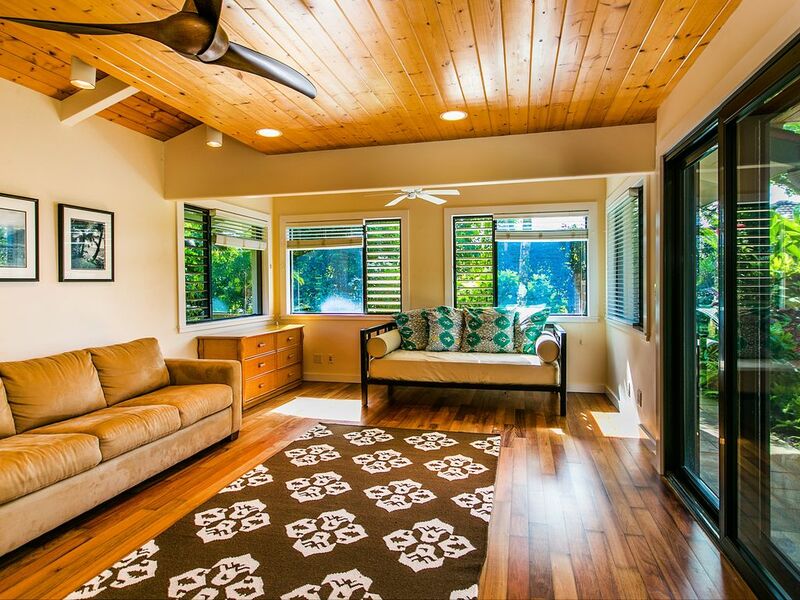 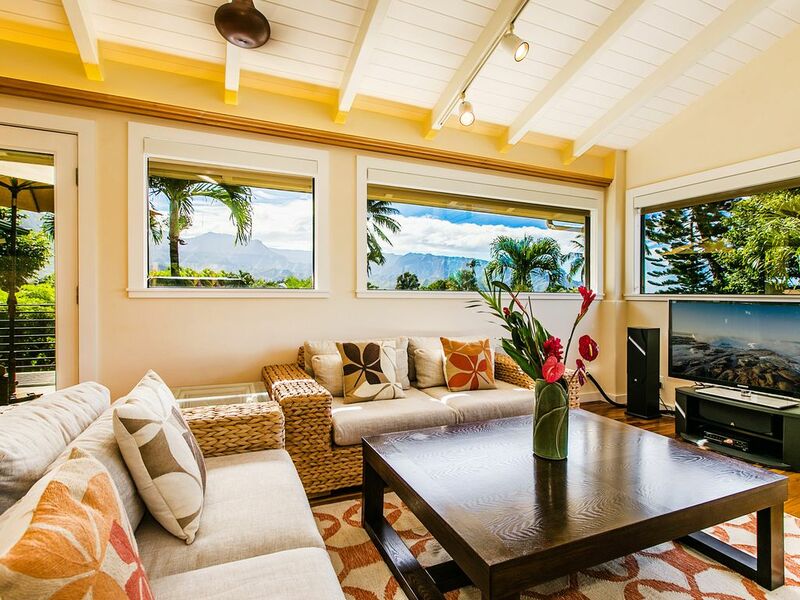 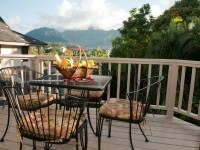 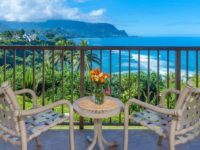 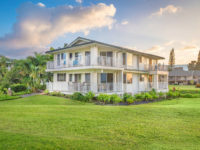 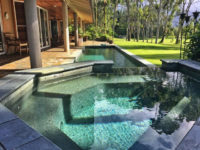 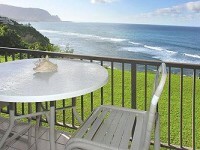 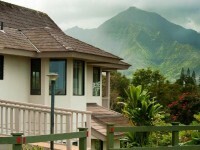 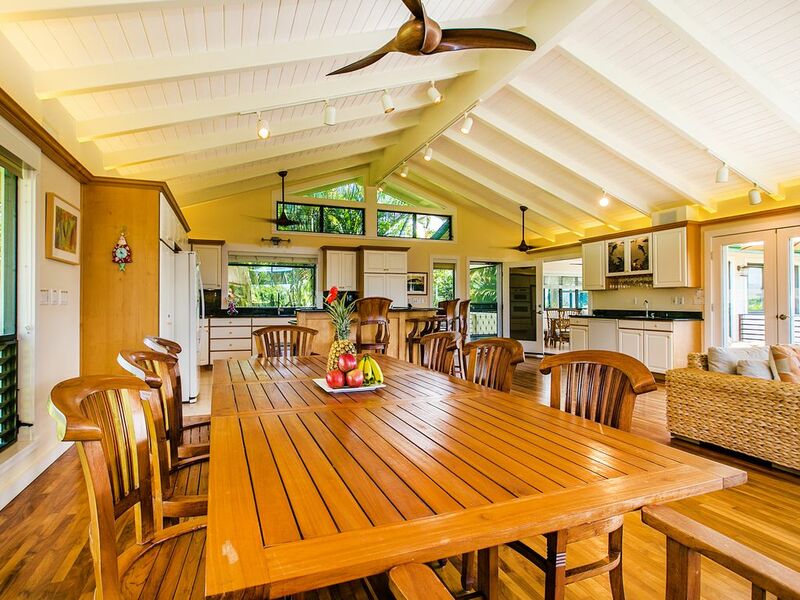 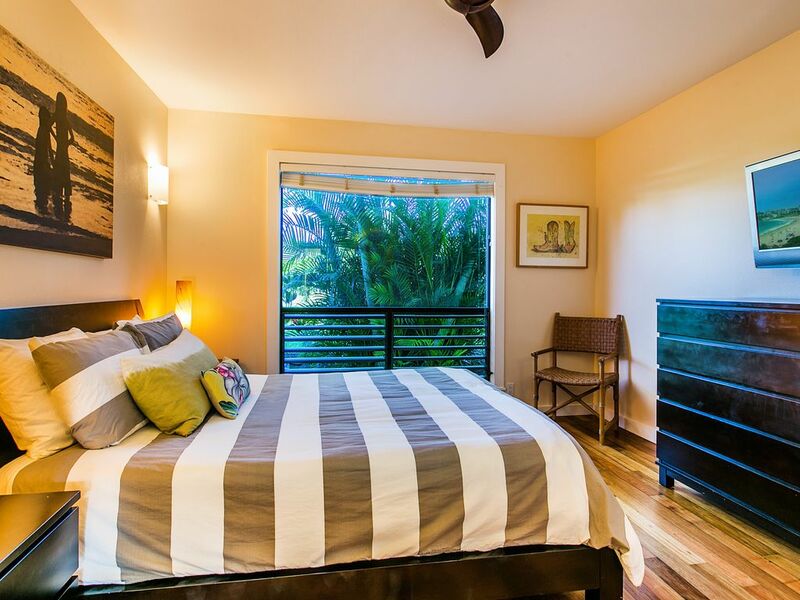 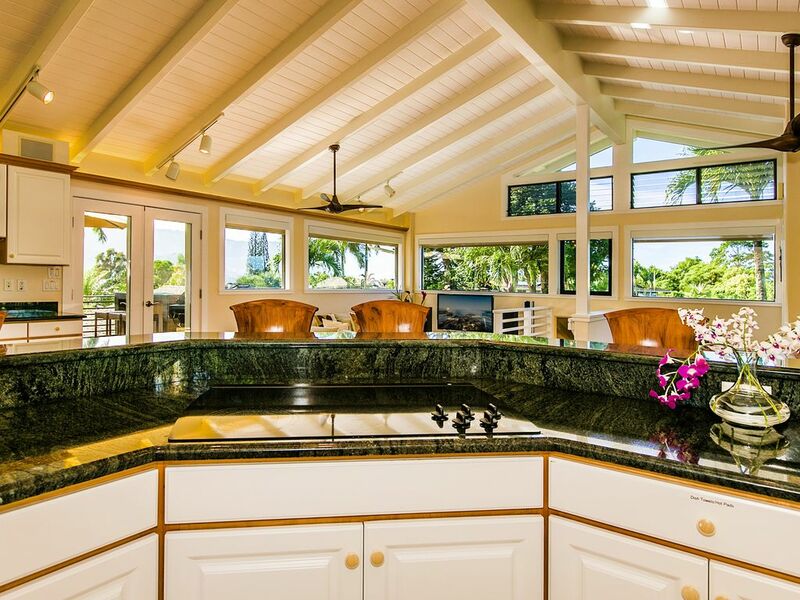 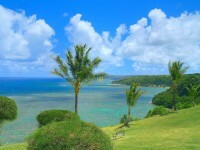 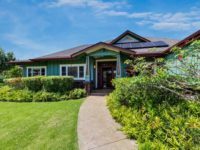 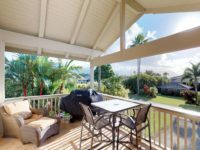 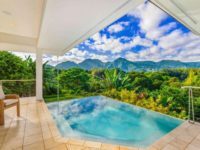 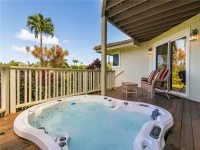 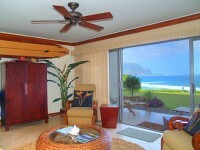 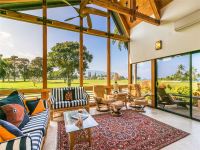 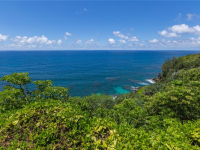 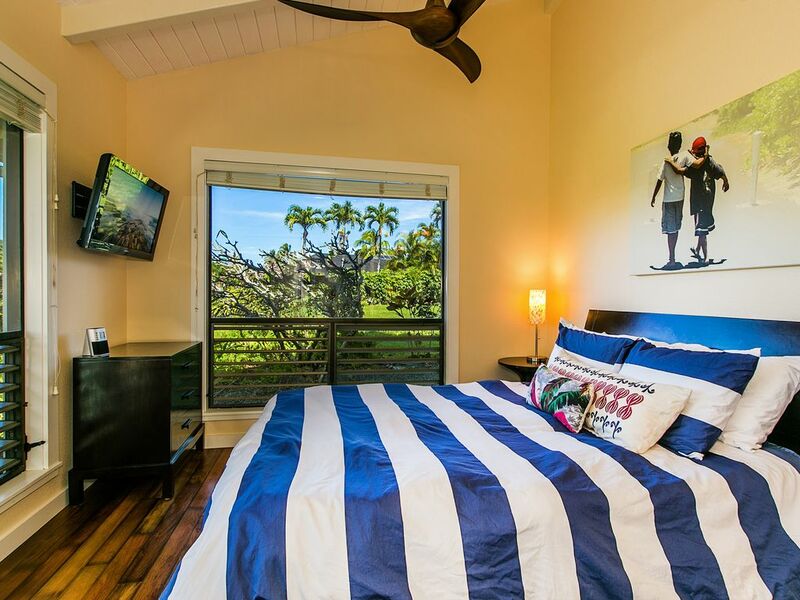 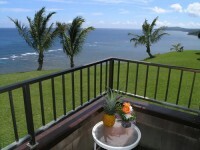 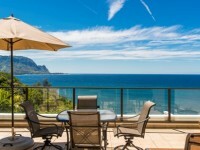 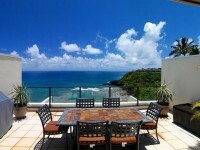 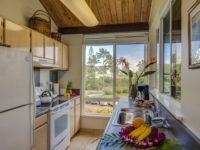 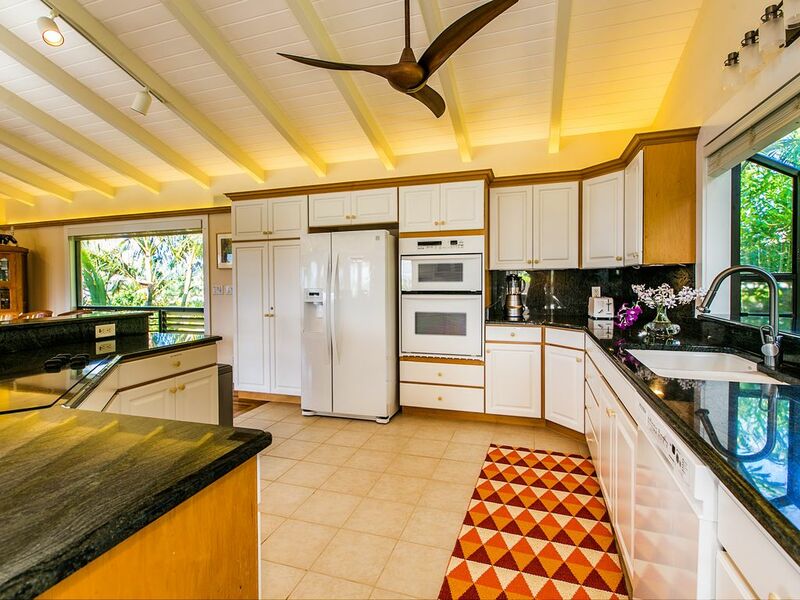 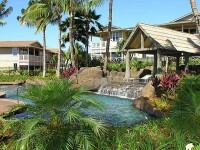 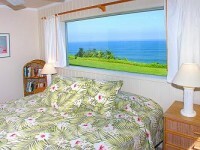 PRINCEVILLE, KAUAI VACATION RENTALS: The ultimate Kauai vacation home, Koa Kai Hale is a stunning 3 bedroom/ 2.5 bath house with large windows in every room that surround you with lush north shore views. 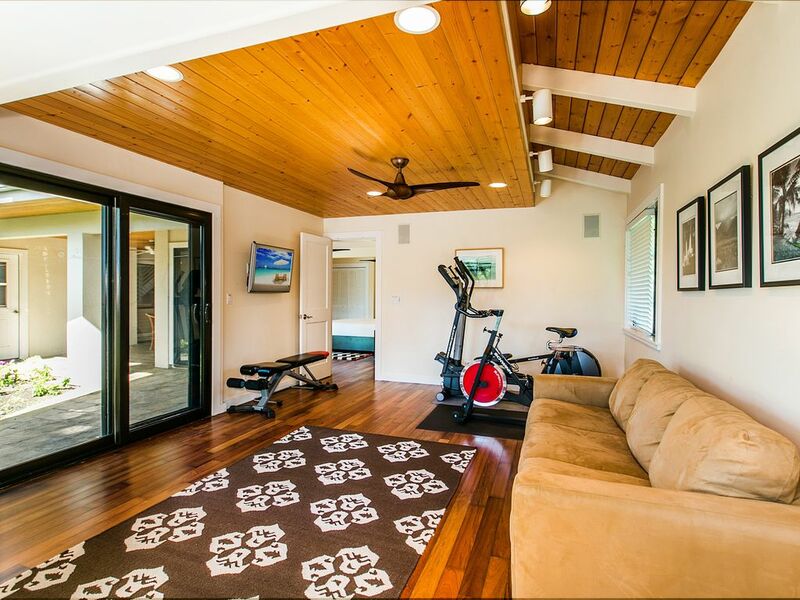 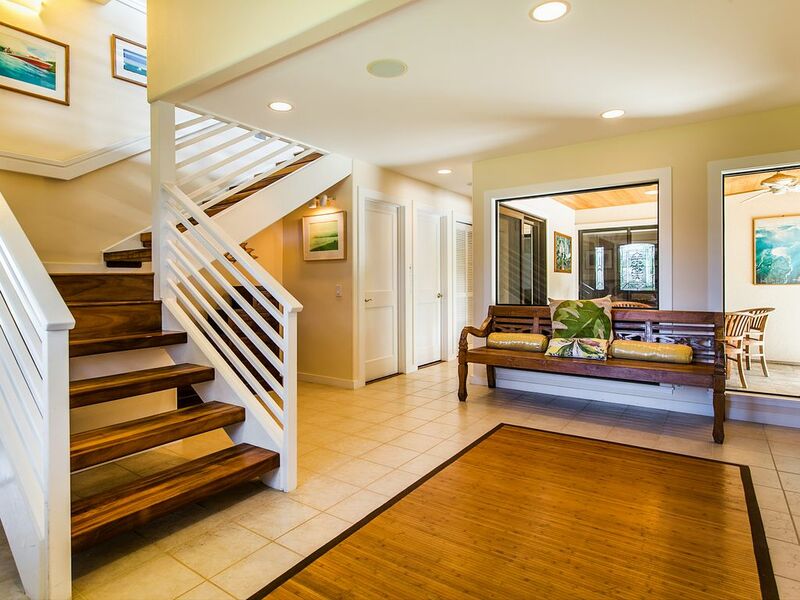 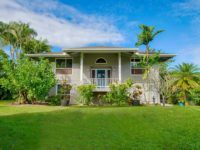 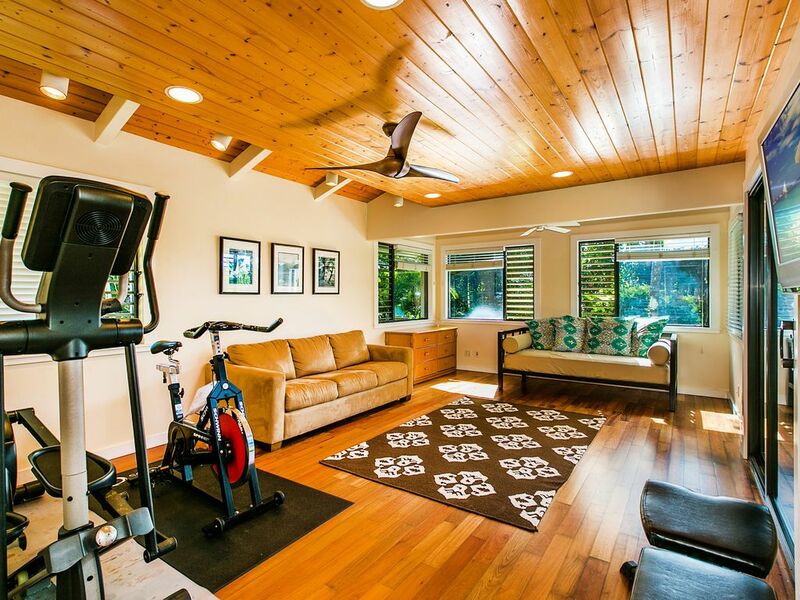 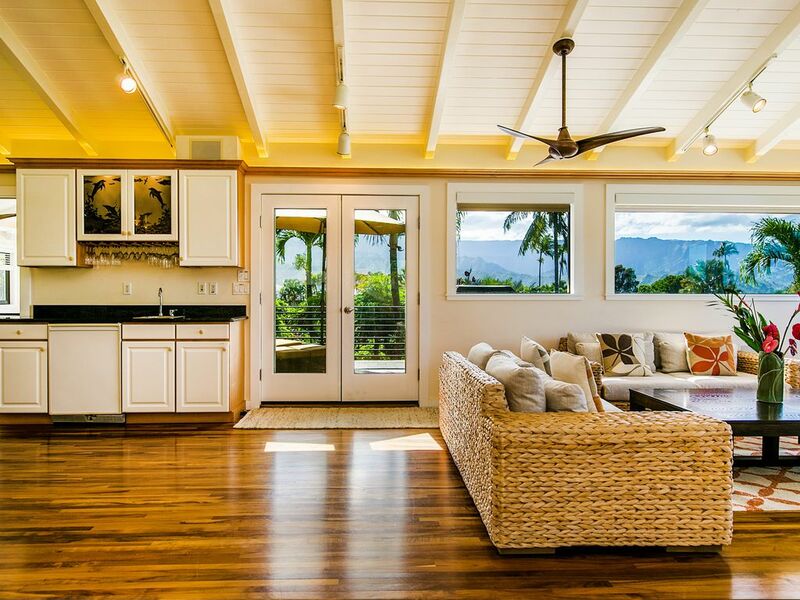 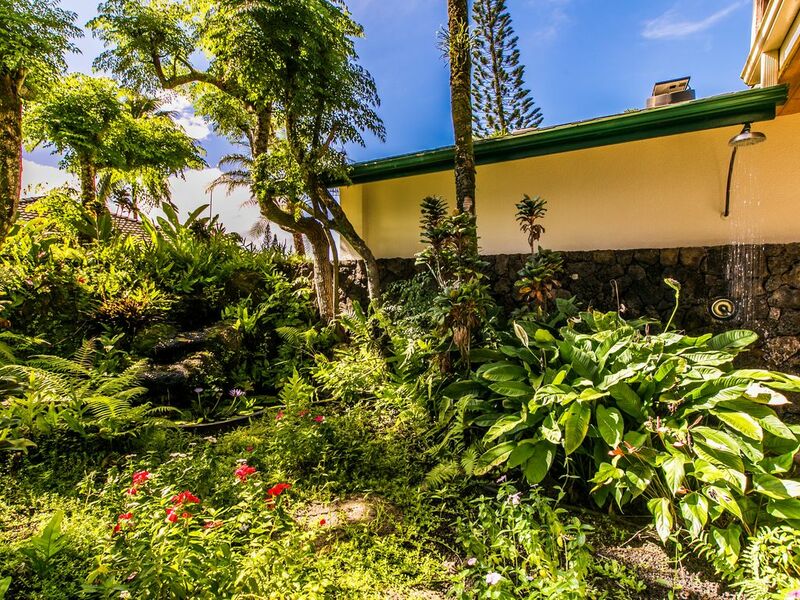 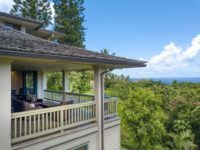 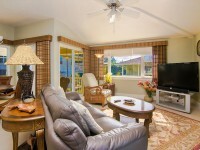 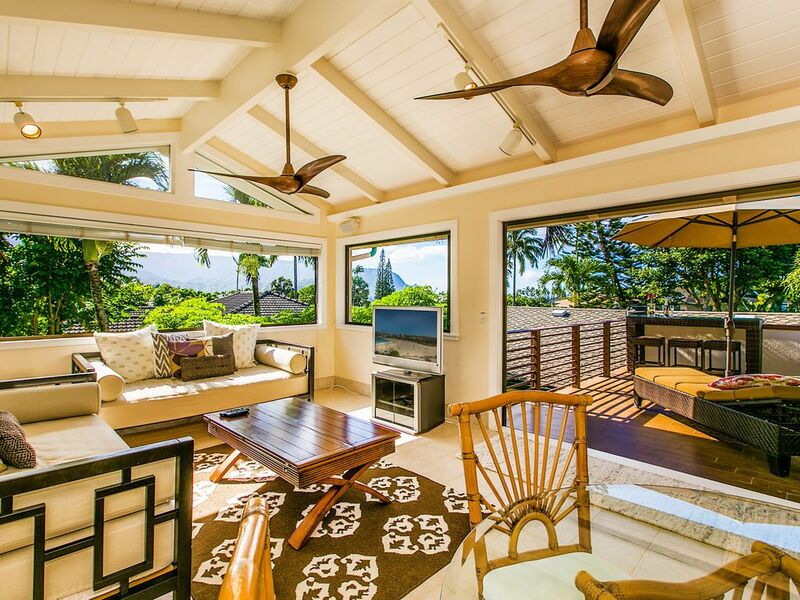 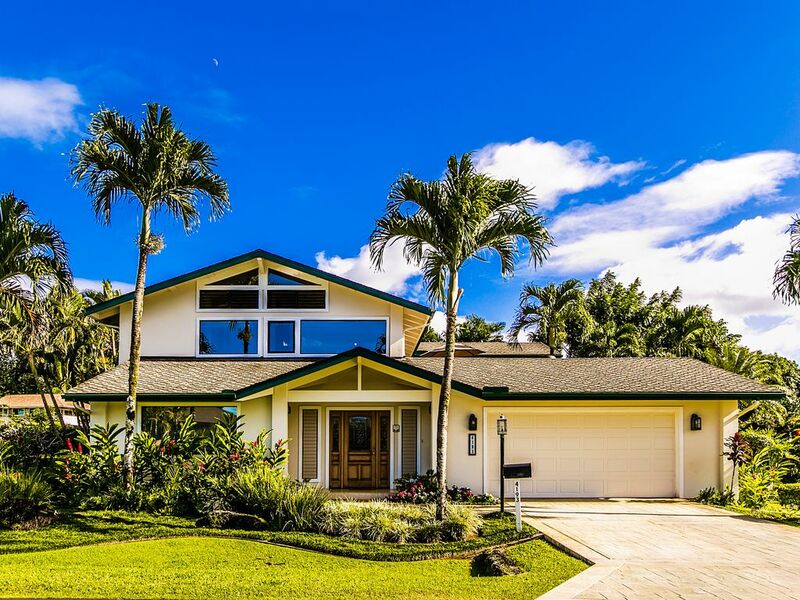 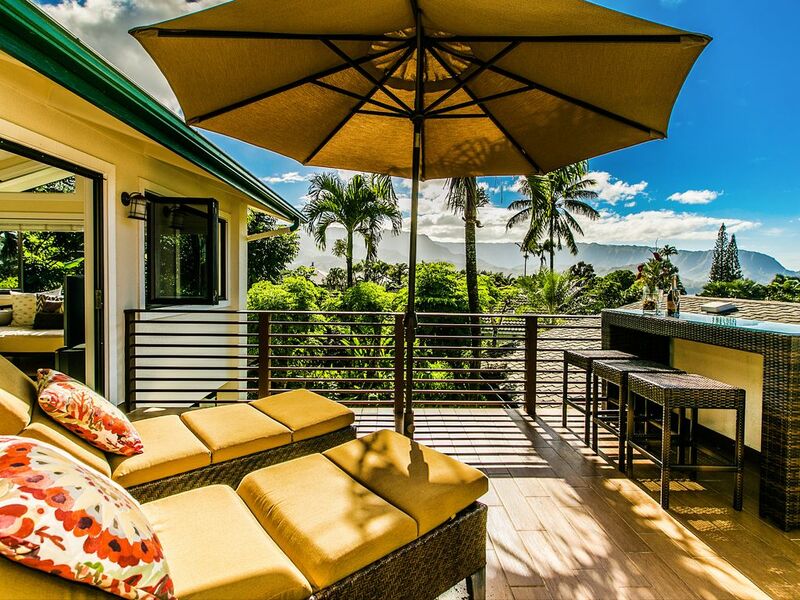 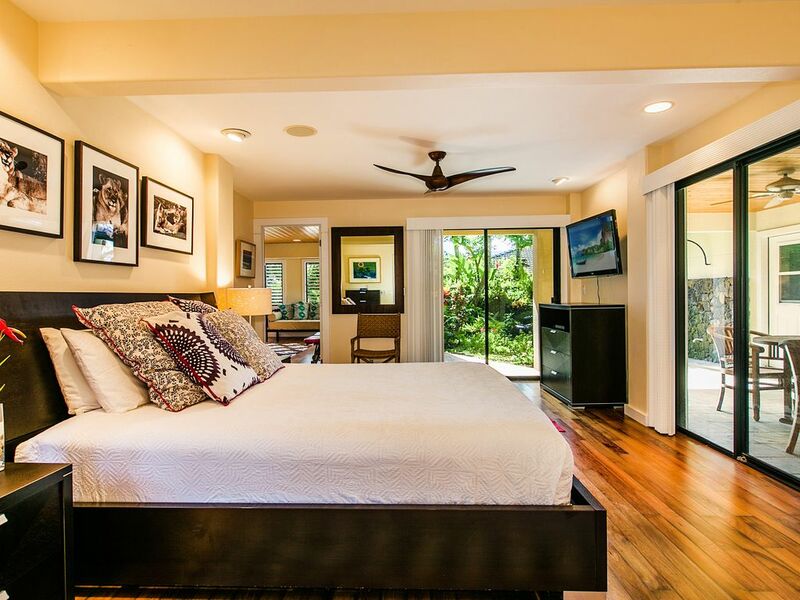 With 3,300 square feet of living space, this home has plenty of room for everyone to relax into their Hawaiian getaway. 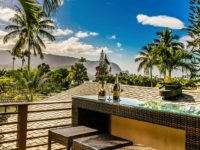 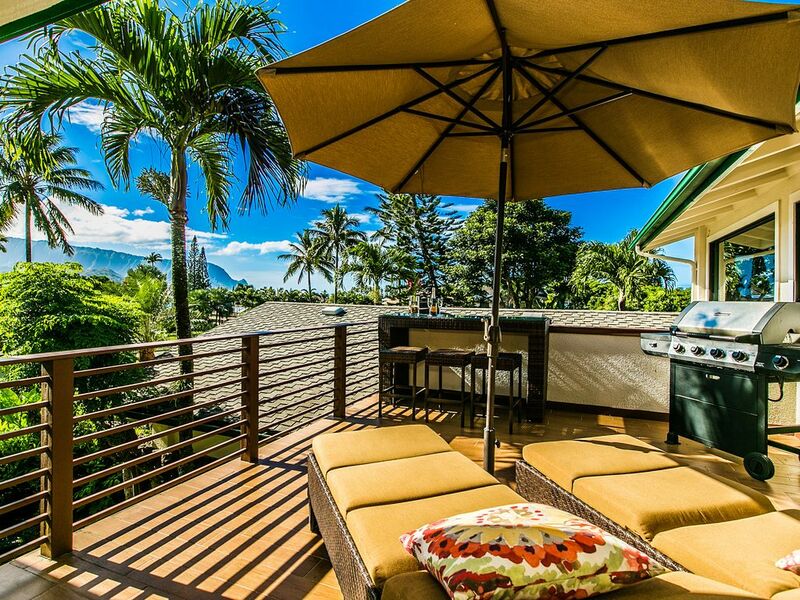 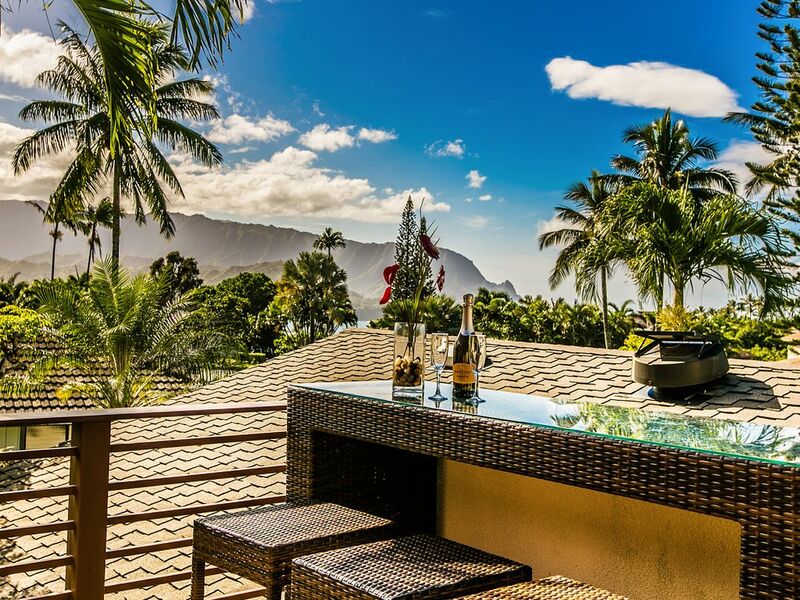 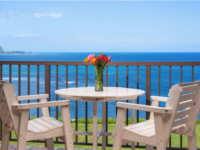 The upstairs lanai at Koa Kai Hale, complete with lounge seating, bar seating, and a barbecue grill, offers a tropical treehouse feeling, with mountain, waterfall, Bali Hai, and distant Hanalei Bay ocean views. 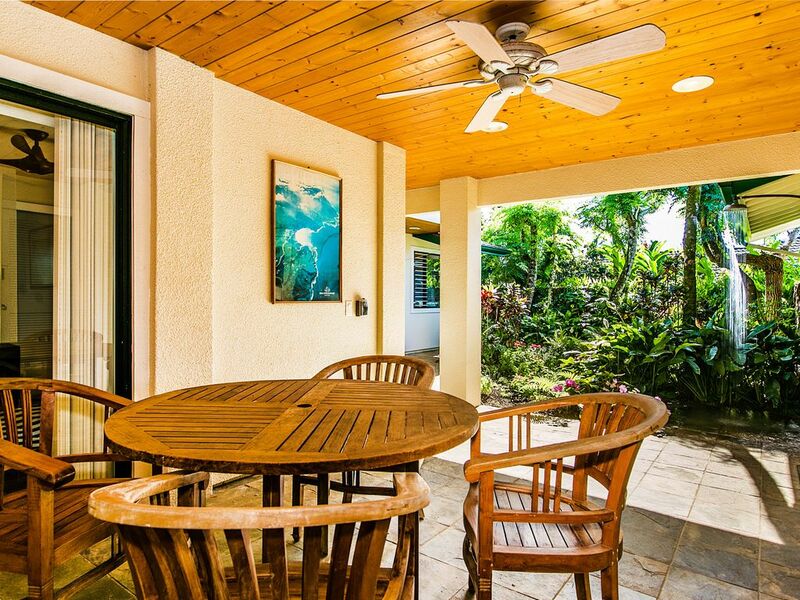 A downstairs outdoor seating area near the garden and pond offers another peaceful option for enjoying the perfect Hawaiian weather. 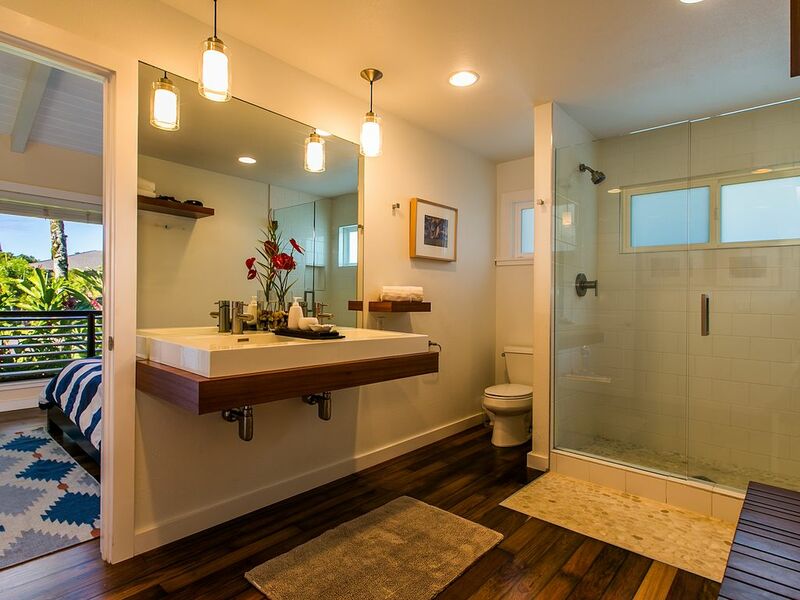 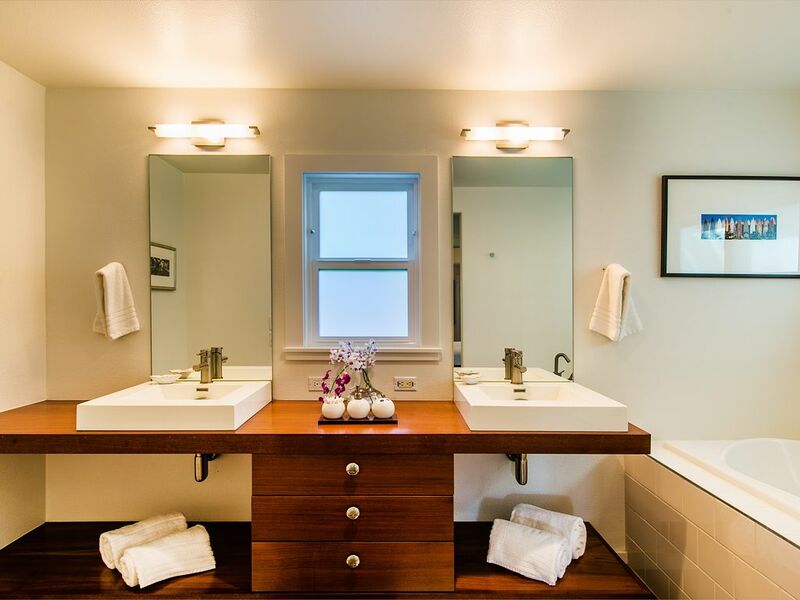 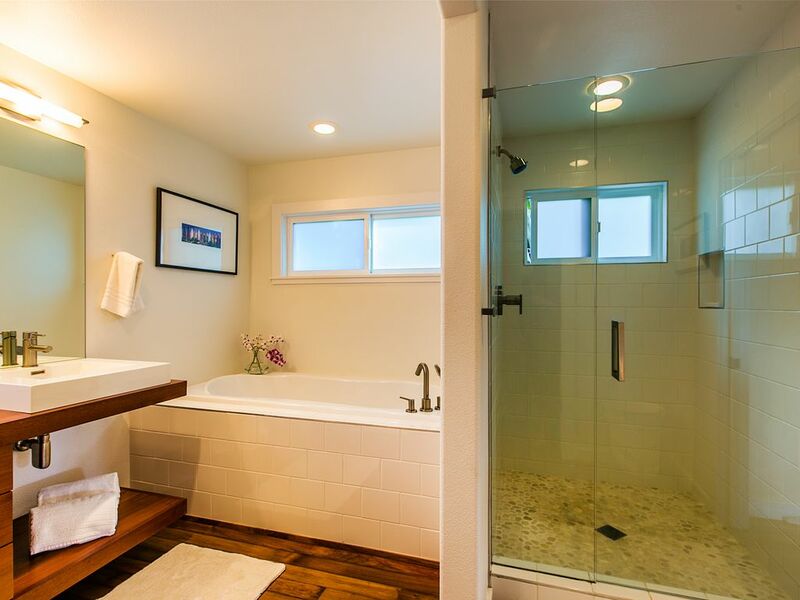 Guests will also love the open-air experience of rinsing off in the outdoor shower after a day of adventures with the bicycles, boogie boards, and beach toys provided.